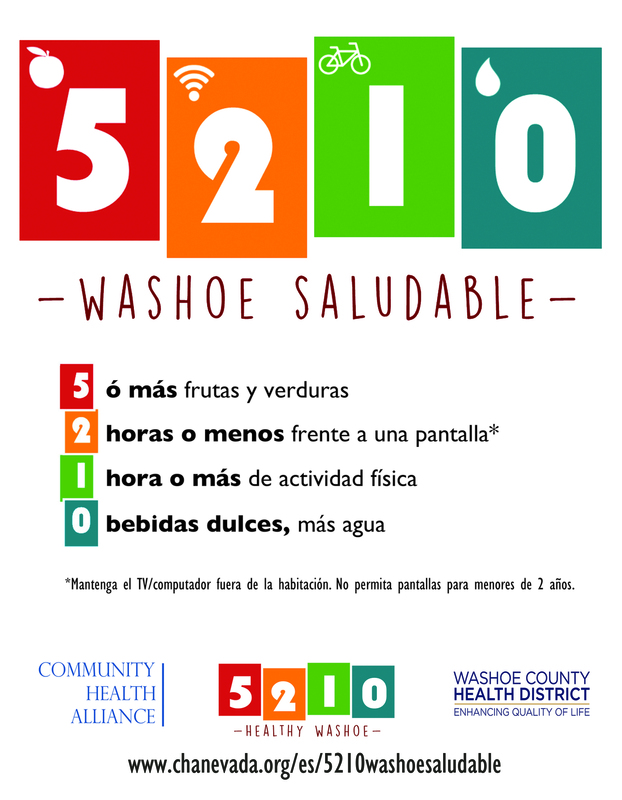 5210 Healthy Washoe is a healthy lifestyle initiative to create environments that support healthy choices. The program brings evidence-based strategies for healthy living into schools, child care and out-of-school programs, health care practices, and workplaces. 5210 Healthy Washoe reaches children and adults where they live, learn, work, and play. Partners are busy preparing to engage the community with the 5210 message and assist with creating healthier environments within youth organizations and workplaces. In addition, community health care providers will have the opportunity to participate in 5210 messaging and practices within their offices. 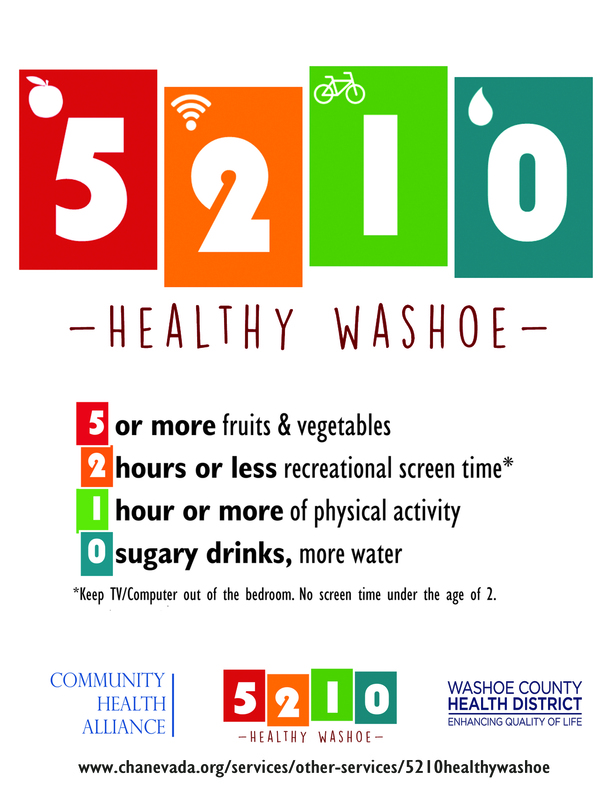 Information and resources that can be used to implement 5210 Healthy Washoe will be posted to this webpage soon.